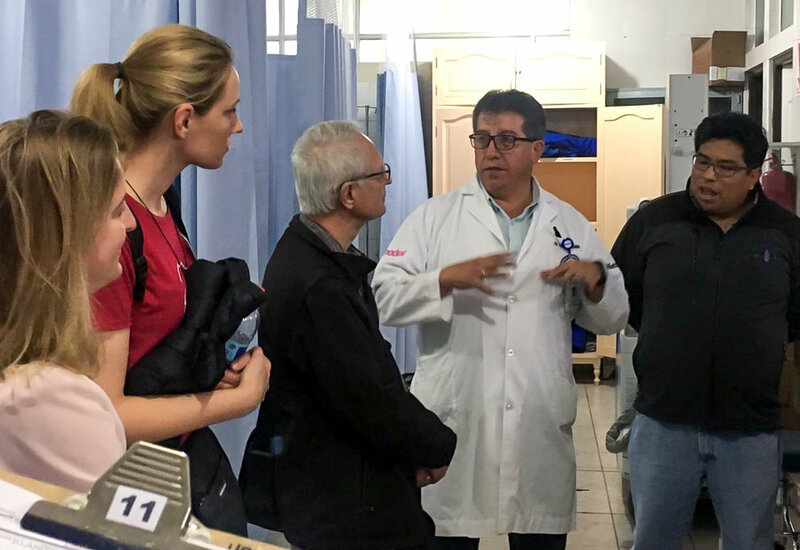 The mission team interviews Dr. Marcelo Valdivia regarding current capacity in the Santa Bárbara Hospital's Emergency Department. On Monday, March 25, the auditorium of the Santa Bárbara Hospital in Sucre was filled with white coats as the heads of the various hospital departments, the hospital director, and local government and health ministry officials gathered to welcome the Solidarity Bridge/ Puente de Solidaridad Neurosurgery team. During this momentous gathering, the Solidarity Bridge team presented a proposal for a long-term, collaborative initiative with the Santa Bárbara Hospital focused on advancing neurosurgical care. Recognizing that the actual surgery procedure is just one part of the process, the proposed initiative would also seek to engage the many pre-, intra- and post-operative areas that are integral to the care of the neurosurgical patient. The Puente de Solidaridad director, Patricia Vargas, introduced the audience to who we are and what we do. Puente de Solidaridad/ Solidarity Bridge has developed a positive reputation and strong relationships in Sucre through our neurosurgery and gynecology mission trips, multiple medical equipment and supply donations, and other efforts to support the city’s medical infrastructure and professional development. Our founder, Juan Lorenzo Hinojosa, provided an overview of the scope of our proposed work that would include data collection, training, resource mobilization, and ongoing international engagement. Dr. Richard Moser, medical director of our neurosurgery program, reiterated the slogan that was prominently displayed in the hospital: Cambiamos juntos para mejorar (We change together to improve). Richard noted that this is precisely why our team is here – to work together with our Bolivian partners to improve and grow, through dialogue and openness to change. Dr. Moser also helped to explain our interest in focusing on this particular hospital. Santa Bárbara is the only reference hospital for neurosurgery in the state of Chuquisaca, with many patients also coming from the neighboring states of Tarija and Potosí. This area encompasses the entire southern third of Bolivia. Though the hospital enjoys a great deal of support from the local government and excellent medical faculty, it has lagged behind other third-tier hospitals in Bolivia’s larger cities. The hospital leadership and heads of departments expressed their interest in a long-term partnership for the advancement of perioperative care. By focusing on this one hospital, the Solidarity Bridge neurosurgery team will be able to measure the impact of the neurosurgical intervention over time. On Tuesday, March 26, Dr. Erica Ludi, a U.S. general surgeon from Emory University currently completing a global surgery fellowship in Bolivia, led a series of interviews with the heads of the hospital’s emergency, anesthesia, intensive care, surgery, and statistics departments, using internationally validated assessment tools. 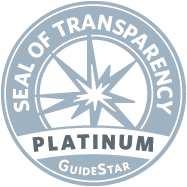 These interviews will help to measure current capacities, establish priorities, and serve as a baseline for tracking impact over the course of our engagement with the hospital. We are very grateful for the warm welcome and enthusiasm to work together of the Santa Bárbara Hospital community. We look forward to ongoing dialogue and partnership, acknowledging that we must change together to improve.